Attractions in Barcelona's "Old Town"
Barcelona's Old Town (Cuitat Vella) stretches from the Columbus Monument to Placa de Catalunya and from the base of Montjuic Hill to Cuitadella Park. 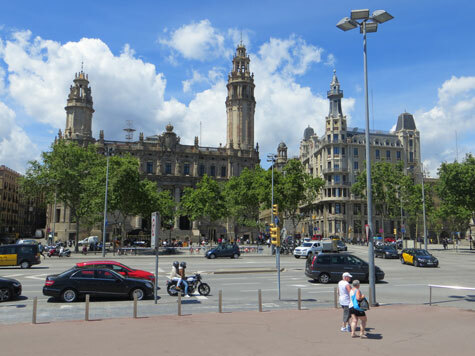 Las Ramblas, Barcelona's most famous avenue, bisects the historic district. From north to south, the Old Town is comprised of 3 component areas: 1. El Born, 2. Bari Gotic (Gothic Quarter) and 3. El Raval. The most famous buildings in Ciutat Vella include the Barcelona Cathedral, the Santa Maria del Mar Basilica and the City Hall.